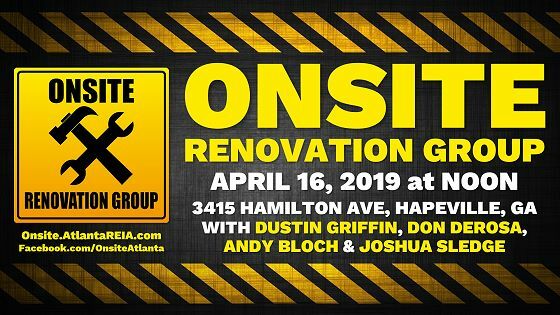 The Atlanta REIA Onsite Renovation Group (ORG), led by Don DeRosa and Dustin Griffin, is an educational and networking group that focuses on the acquisition, renovation and retail resale (fix and flip) or rental (buy and hold) of single family residential homes. 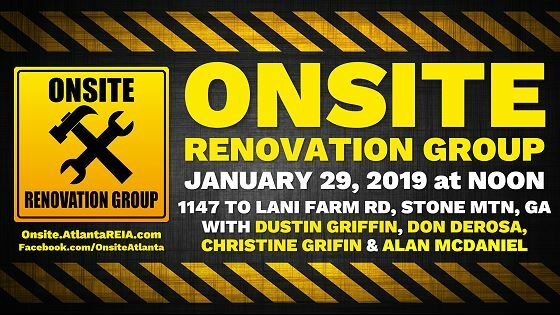 The Onsite Group meets on the 1st & 3rd Tuesday of each month at NOON at an active renovation site, build site or rental property which will vary from month to month and be announced prior to the meeting on the Atlanta REIA Calendar. 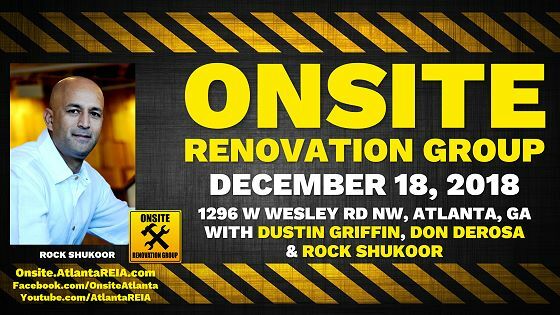 The Onsite Renovation Group will focus on properties inside the I-285 perimeter and the in-town neighborhoods. 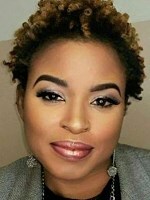 The purpose of this group is to allow both new and experienced rehabbers and investors to meet, network and share knowledge and experience with “hands on” access to real property. 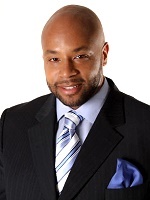 As always, there is no charge for Atlanta REIA member to attend. Non-Members and Guests can RSVP Online for only $15 or pay $20 at the door. 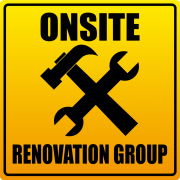 Atlanta REIA Business Members, click here if you would like to Sponsor the Onsite Renovation Group. 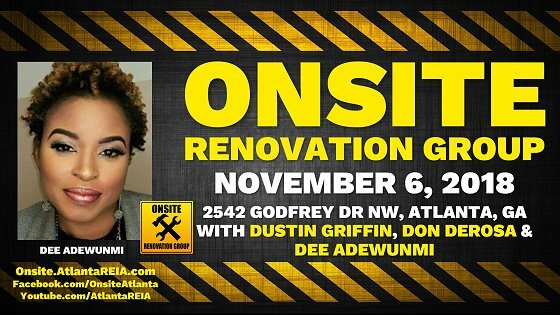 Where: Onsite Location TBA each month on Atlanta REIA Calendar. 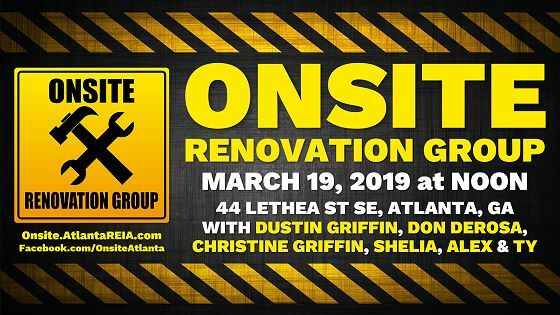 Please join us on Tuesday, February 19th at NOON for the Atlanta REIA Onsite Renovation Group (ORG) to learn all about finding, funding, fixing and flipping houses for big profits right here in the metro Atlanta area. 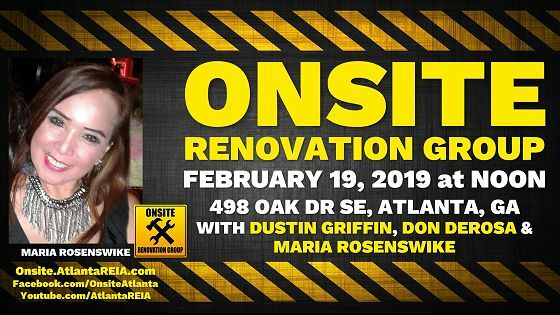 This month’s meeting will be held at newly completed rehab project located at 498 Oak Dr SE, Atlanta, GA being managed by Maria Rosenswike who is an active rehabber and frequent attendee at our Onsite Renovation Group. This was 3 bedroom, 2 bath, 1,242 sqft home that was built in 1962. 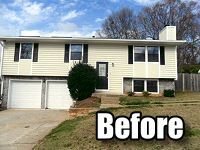 The house was in pretty good shape and had been updated, but not to today’s standards. And the floor plan was not laid out very well and the ceiling was popcorn. 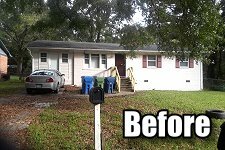 It had a tiny front porch, no deck and a chain link fence. Needless to say, Maria didn’t like any of this, so she renovated the entire house. She revised the floor plan in the master and added high ceilings. She refinished the existing hardwoods. She updated the bedrooms, bathrooms, kitchen, lighting and appliances. 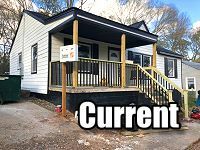 She updated the exterior, added a new front porch, deck, fencing and driveway. 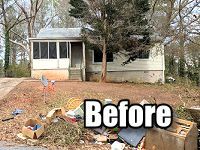 Come join us and see the finished project and see how she did it! 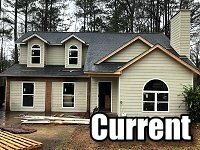 Come See this Burnout Rehab Project in Lithonia! 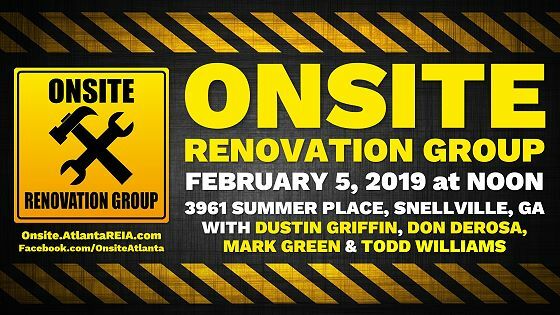 Please join us on Tuesday, January 15, 2019 at NOON for the Atlanta REIA Onsite Renovation Group (ORG) to learn all about finding, funding, fixing and flipping houses for big profits right here in the metro Atlanta area. 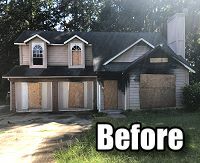 This month’s rehab project at 5674 Bradley Circle, Lithonia, GA was a fire damaged, single family home that was originally a 3 bedroom, 2 bath, 1,273 sq ft home built in 1988. 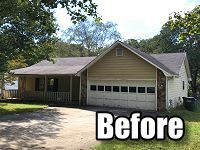 However, the previous home owners converted the garage to another bedroom and bath before the fire. Chrissy Griffin and Craig Holston, who are managing the rehab project, are restoring the home to a 4 bedroom, 2 1/2 bath home. 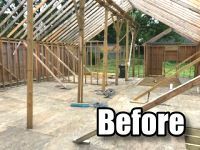 The house was gutted down to the studs and all of the fire damaged wood replaced. Everything will be new from the roof to the foundation. Come join us to see how this major rehab is going. 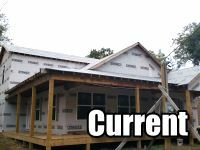 Come See Frank’s Latest New Construction Project! 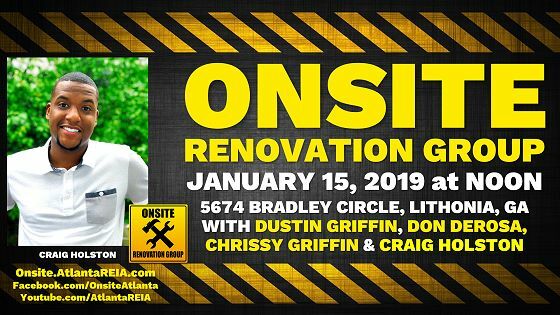 Please join us on Tuesday, December 4th at NOON for the Atlanta REIA Onsite Renovation Group (ORG) to learn all about finding, funding, fixing and flipping houses for big profits right here in the metro Atlanta area. 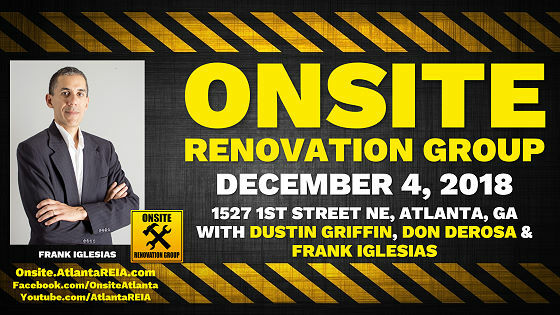 This month’s meeting will be held at Frank Iglesias’s latest New Construction project at 1527 1st Street NE, Atlanta, GA. 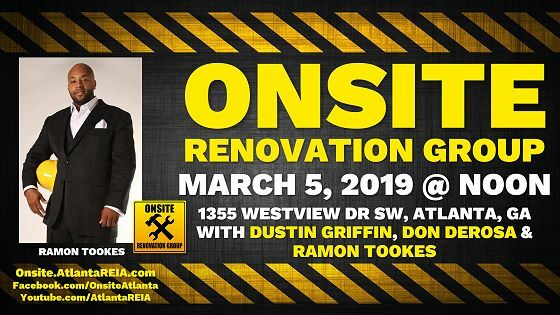 If you are currently rehabbing and thinking about getting into new construction, come pick Frank’s brain and discuss his transition from rehabbing to new construction. 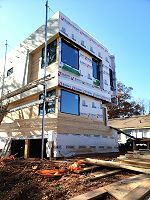 The construction of this expansive modern home is in progress. Sleek and simplistic shapes allow this design to shine as it all comes together. Mixed with urban outdoor living spaces, this spacious home will be sure to please upon its completion! Join us and come check out Frank’s progress so far! PLEASE NOTE: Frank reported that finding this address on your GPS may or may not work since it is a new address. 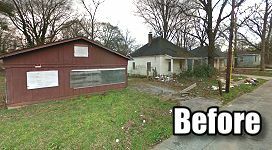 If you can’t find 1527 1st St NE, Atlanta, GA on your map app, put in the house across the street wich is 1526 1st St NE which will get you there. 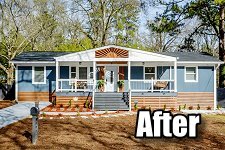 Come See This New Construction Project That Started Out As a Rehab! 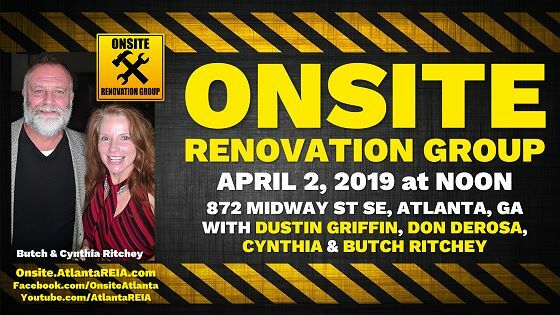 Please join us on Tuesday, November 20th at NOON for the Atlanta REIA Onsite Renovation Group (ORG) to learn all about finding, funding, fixing and flipping houses for big profits right here in the metro Atlanta area. 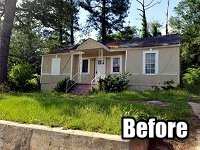 This month’s meeting will be held at a new construction project that is now complete at 2936 Glenwood Ave SE, Atlanta, GA. 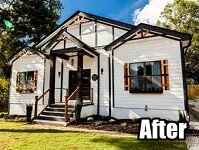 This GORGEOUS new home was built after the original structure was torn down by Victor & Aida Aponte of MOG Improvement Services. 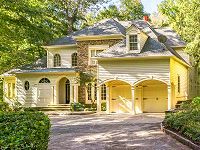 This stunning new construction property is located in the golf community of East Lake, Atlanta. This spacious and open floor plan features a dream kitchen complete with a floating island, quartz countertops & stainless steel appliances, 10 ft ceilings with beautiful wood beams, mahogany wood floors throughout and a resort style master suite & bath. 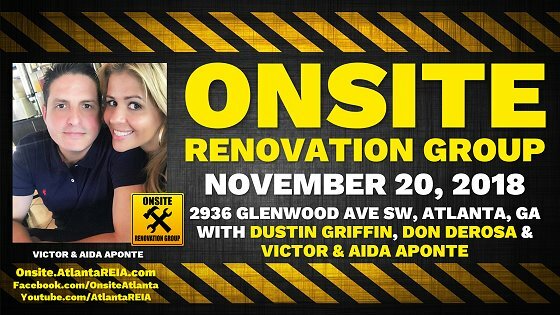 Come learn how Victor & Aida completed construction in just 10 weeks after waiting 8 months for the required city permits!